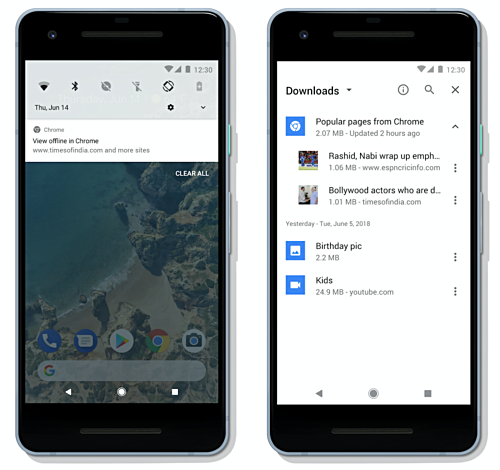 Google has added a new and useful feature to its Chrome browser on Android. The functionality lets the browser save stuff like news articles when your device is connected to the Internet, so that they can be made available for offline viewing. Google says the feature is specifically aimed at its Next Billion Users (NBU) markets, and has been made available to users in over 100 countries, including India, Nigeria, Indonesia, and Brazil. The updated Chrome for Android app is now available on Google Play.